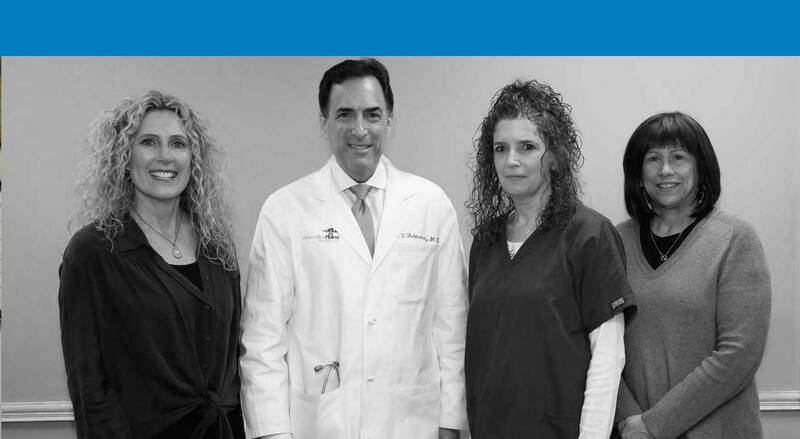 Our Goal is to Get You Well and to Keep You Well. Your health and wellness are an integral part of your life. 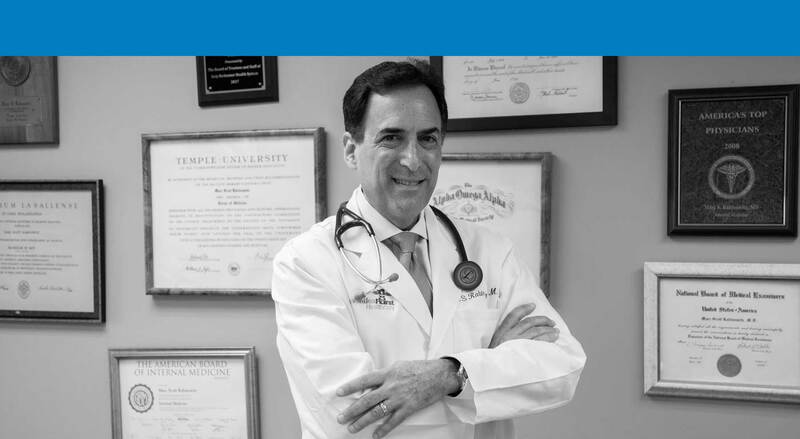 Here is why you should schedule a free half hour consultation with Dr. Marc Rabinowitz for an award-winning Bucks County, PA Concierge Medicine practice. There's Something Missing In Healthcare Today. When was the last time healthcare was focused on prolonging a healthy, happy life? It's time to put prevention first. Complete with a two-hour comprehensive physical exam assessing your physical fitness levels, nutrition, sleep styles, family history, and mental health. Ensuring patients are always seen within 24 hours & providing house calls when medically necessary. You will even be provided with your doctor's personal mobile number. In every field possible from the most prestigious health care systems in the region. Focusing on proper eating, exercise and emotional well being. Complimentary private events/seminars for patients. 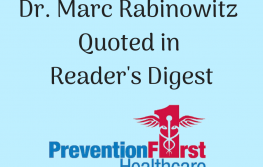 "By taking a proactive role in your health, you can potentially avoid a major health crisis, actually save money in prescription costs and doctor co-pays, not to mention insurance premiums." 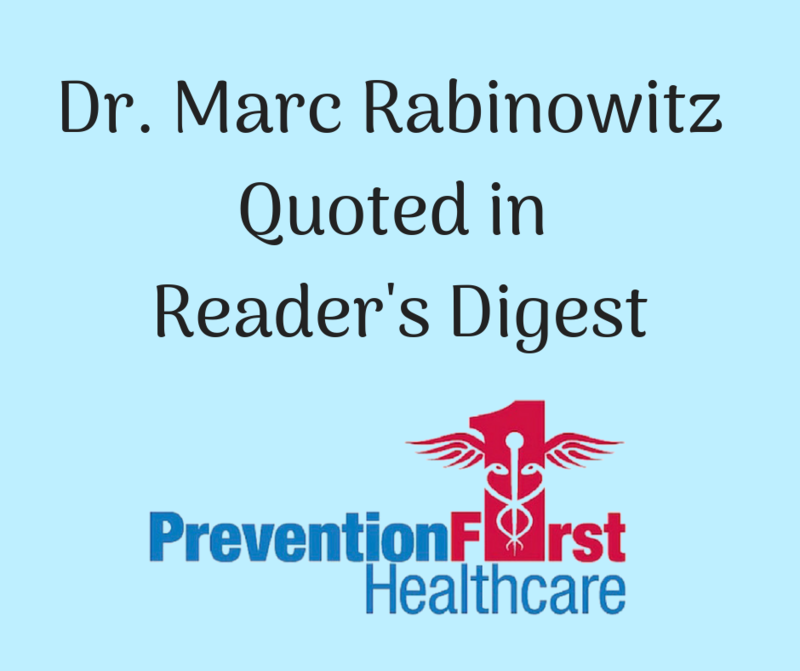 The latest health information from Dr. Marc Rabinowitz. Small changes can make a big difference in your health! Get a physical for a comprehensive map of your current health and well-being and don't wait until you're sick to go to the doctor. Get rid of one slice of bread, and you'll be getting rid of 100 calories a day. If you start doing that now, you could be 10 pounds lighter by year's end! Change your dinner plate from 11 inches to 9 inches and you'll cut your portion size by almost 20%. You won't be missing much when you are eating, but after a while, you'll notice you might be missing something from your midsection. Full of fiber, protein and unsaturated fats, nuts are a terrific snack choice when it comes to curbing your appetite. Just don't go overboard - portion sizes still count!